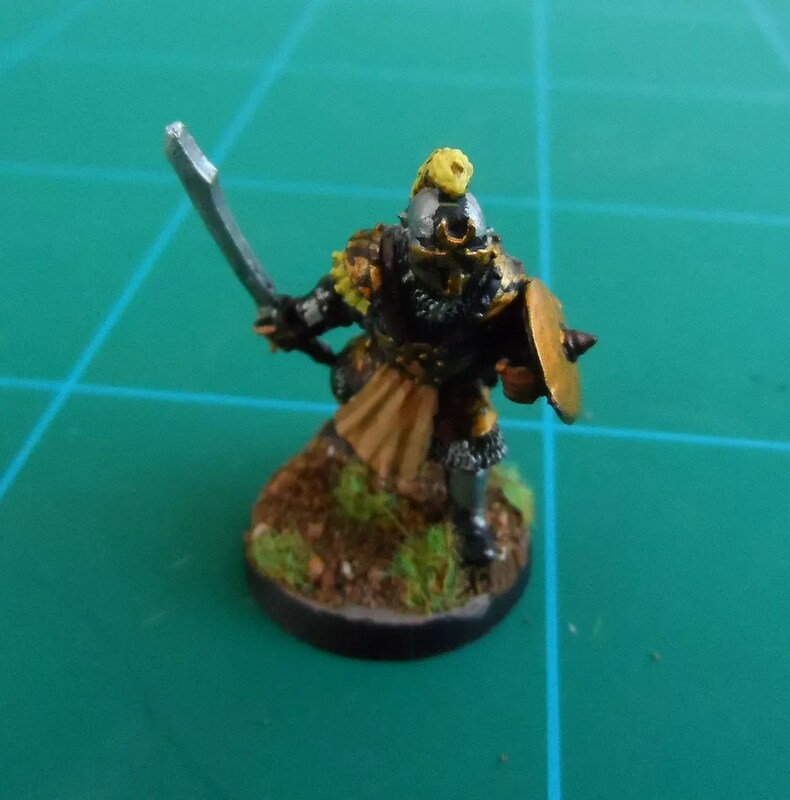 In the last game, I fielded the first of my newly painted figures – a Ranger that had replaced an archer that had been killed. I did up two Rangers as my plan is to steadily replace the low level grunts with more effective ones. I started mixing the Cultist and Soldiers plastics for Frostgrave. Both sets are fully compatible which makes kit bashing very easy. 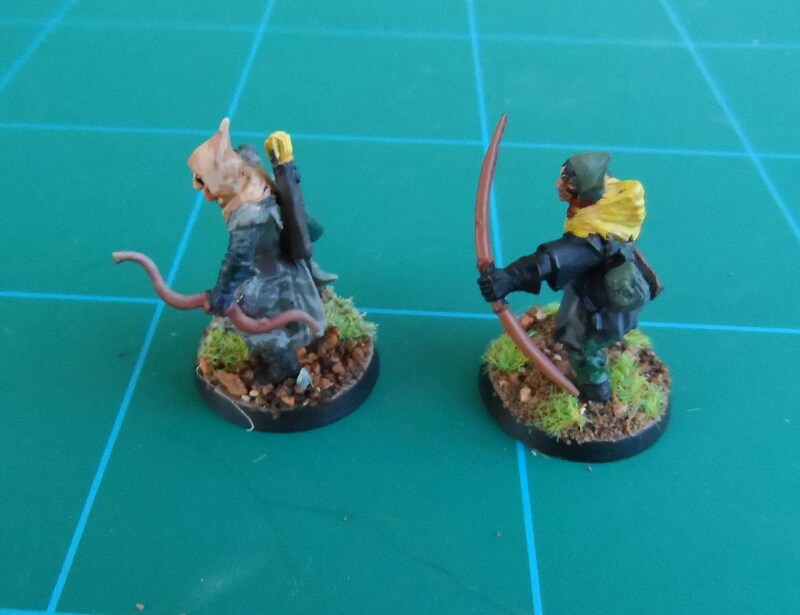 To distinguish between Archers and Rangers I used two simple methods. 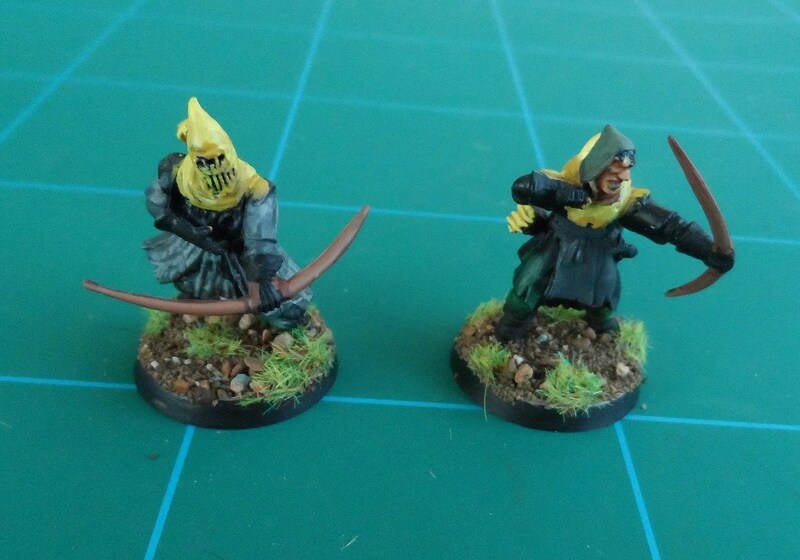 The cultist plastics come with different, and smaller bows than the soldiers kit..so that was the first obvious difference. 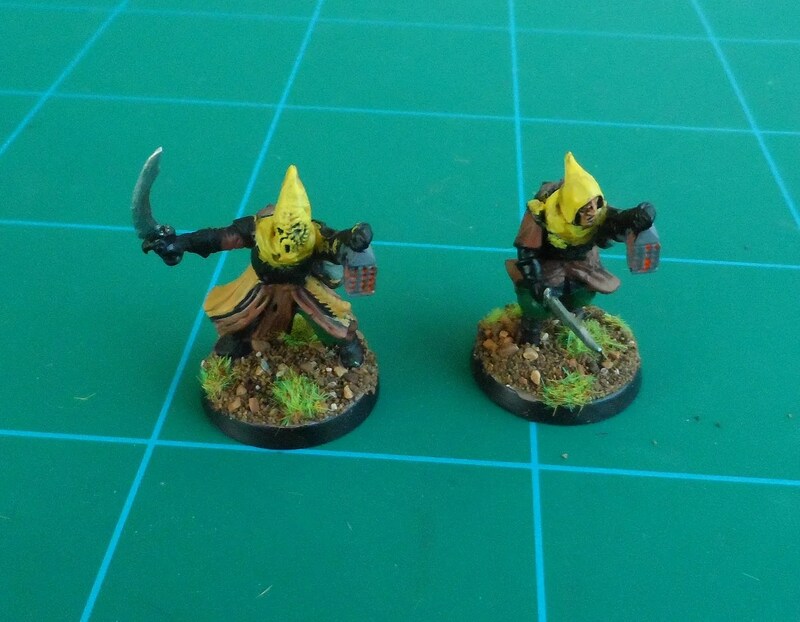 And then I painted the hoods of the ordinary grunts with Foundry Buff Leather, and the Rangers with Foundry Yellow. You can guess which is which ! the Thugs are also being upgraded to Treasure Hunters. Again, I mixed the two plastic sets. I think the lanterns which I am using as a marker across all my war bands need a slightly brighter orange which I’ll try next time around. Again, yellow hoods for these upgraded minions. Might do another layer of highlighting on the armour which is still a bit dark. After this I have his brother the Cultist templar, and a couple more plastics to do and I should be good (or EVIL) for this war band.